The Vatican is widely regarded as one of the most old-fashioned and conservative institutions in the world. So you might have thought it would the last place you would be likely to find an enlightened contemplation of the possibility of extra-terrestrial life. But you would be wrong. In fact, the Vatican has long had a remarkably forward-thinking approach to the issue. Some Christians refuse to take the possibility of extra-terrestrial life seriously because they view it as incompatible with their religious beliefs. If Jesus died to redeem humanity, they say, the redemption would not have applied to alien races, so alien races cannot exist. The Vatican takes a different view. In May 2008, news was made around the world when the Vatican declared officially that belief in extra-terrestrial life was fully consistent with the Christian faith. In an article published in the Vatican’s own official newspaper, L’Osservatore Romano, and titled “Aliens are my Brother”, Father Gabriel Nunes, said that astrobiology was a perfectly respectable science, and that life might well exist on other planets. According to Catholic doctrine, all humans suffer from Original Sin because of Adam and Eve’s defiance of God and subsequent expulsion from Eden. Aliens, however, speculates Father Nunes, because they are not from Earth, might be free of Original Sin entirely. Some in the Disclosure Movement believe that this statement from the Vatican is a sign that something big is about to happen. They consider it a measure designed to prepare the public for what they call “Disclosure”, the revelation by the most advanced governments of the Earth that We Are Not Alone, and that contact with extra-terrestrials has been proceeding for some time. 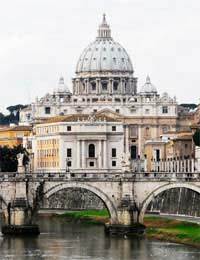 The Vatican statement was a very public expression of what UFO buffs had known for some time : that the Vatican was deeply interested in aliens. Did you know, for example, that the Vatican maintains several astronomical observatories of its own? In fact, the pronouncement on alien life was made by the director of one of these observatories. During the Papacy of John Paul II, Monsignor Corrado Balducci, a Vatican expert on exorcism, and someone who was known to be close to Pope John Paul II, often discussed the possibility of alien life on Italian television. Balducci said that the Vatican received UFO reports from its emissaries and outposts all around the world. He explicitly said that the UFO phenomenon was not demonic in origin (something occasionally claimed by other Christians) and was not a sign of mental instability. This open-mindedness about ETs certainly seems curious coming from the Vatican. Can something special have lain behind it? Some ufologists believe that the strange incident in Fatima, Portugal in 1917, which was described at the time as a religious apparition, was, in fact, a UFO sighting. Could this have been what prompted the Vatican to contemplate alien life? Or did some prominent figure within the Catholic Church, perhaps the Pope himself, once have a UFO sighting of his own? Some have even claimed that a curious skeleton recovered during excavation work in the Vatican library was that of an ET. In its long history, the Vatican has often been behind the curve when it came to coping with the consequences of scientific progress. It’s refreshing, then, to see that this time around the Vatican has chosen to adopt a forward-thinking approach to one of the most important issues of our time : the possibility of contact with extra-terrestrial life.